Apple is said to be developing a new Hi-Res Audio format featuring an expanded 96kHz, 24bit sampling rate for its Apple Music subscribers, leveraging the higher fidelity audio output capabilities of Lightning ports. Apple Music is planning to launch new its Hi-Res music streaming--with higher audio quality than can be delivered through standard earphone jacks--over the next year, according to a report by Japanese site Macotakara. 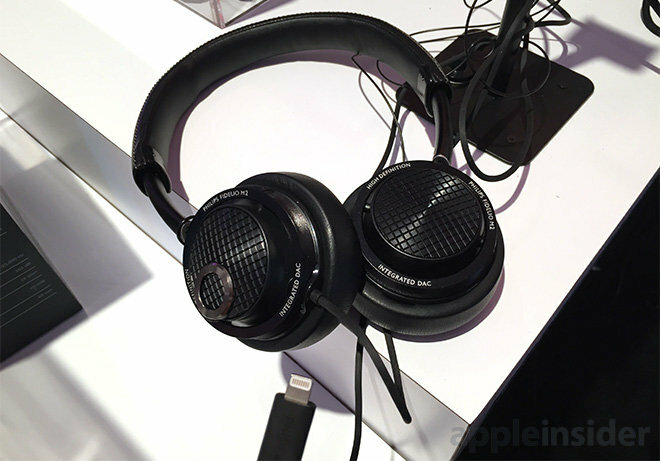 The site referenced "several insiders familiar with Apple" who were exhibiting products at the Portable Audio Festival. 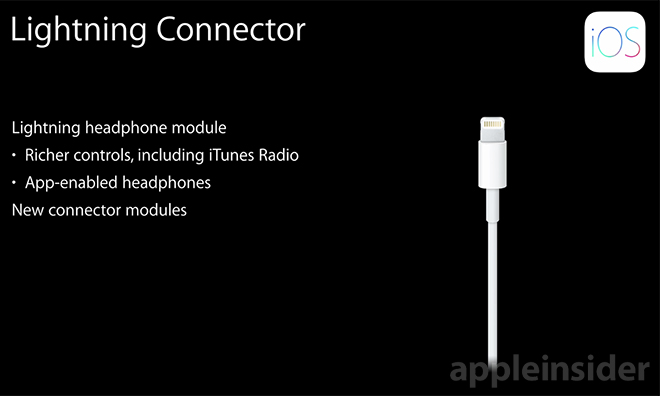 Last year Apple announced its new Lightning connector audio specification, which was adopted in the emergence of Lightning-equipped headphones from Philips, JBL and others. There are also rumors that Apple's next iPhone may drop its mini-jack audio plug to instead use the thinner Lightning port as an audio output. Doing so would not only remove the need for a deep, physical plug that takes up space and makes devices harder to protect against water damage, but would also differentiate iPhones with high quality audio playback. The physical, analog headphone jack is limited to delivering roughly CD-quality sound. Using digital signals over Lightning, headphone makers can use higher quality 24-bit DAC (digital analog conversion), paired with high end, low noise amplification to deliver an experience closer to the full quality of studio recording. A series of "better than CD" audio formats have attempted to deliver studio quality sound, including the optical disc formats Digital Audio Disc, SACD and DVD-Audio from the late 90s. After years of being overshadowed by basic MP3s and then standard CD-quality digital downloads, new attempts to leverage Blu-ray Disc or digital distribution to deliver high resolution audio have more recently failed to gain much traction. With the visibility of its Apple Music service--which has already gained millions of subscribers in its first few months--paired with its Beats hardware and its control over the Lightning Connector specification, Apple is positioned with the potential to popularize Hi-Res Audio across larger audiences than ever before, and use that as a way to sell iPhones, accessories and subscription access to music labels' content mastered in studio-quality sound. Apple has focused its support on Lightning, making it the connector for charging its Magic Keyboard, Magic Mouse 2, Magic TrackPad 2, iPad Pro Pencil and Apple TV Siri Remote, in addition to being the primary port for iPhones and iPad.